It is this time a year, when I would be planning my holiday. 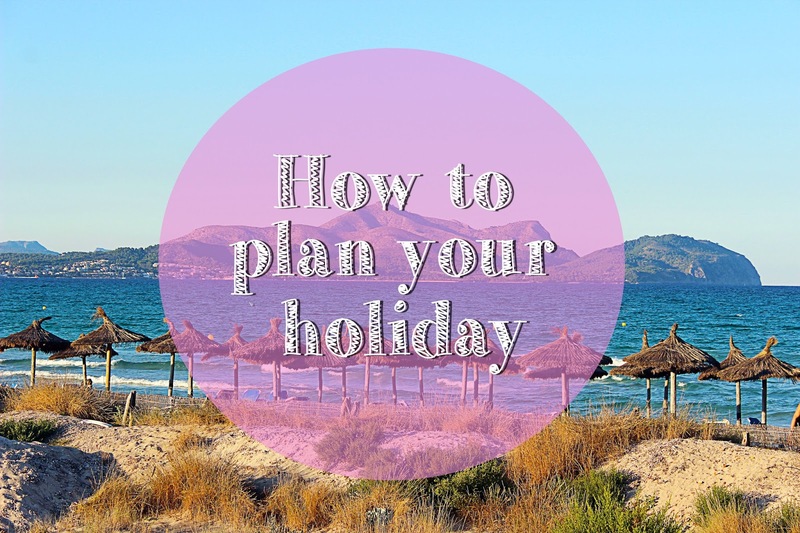 It might sound like it's a lot of fun, but sometimes planning your holiday could be a real pain in the arse. First, you need to decide where do you want to go, what do you want to do or what do you want to see. If you are like me and you want all of those mentioned things, then I feel sorry for you sister/ brother, I've been there! I would never go for just a 'beach break'. I need to know, that the place I am traveling to, has some history behind and some beautiful places to visit. I would never go on holiday, be drunk for 24hrs and come home with no memories. I think it's just a waste of time and money. But now a days many people do that which, in my personal opinion, is really really sad. Second, you need to know where or how to book your dream holiday. You don't need to spend thousands to book a nice break. The most important thing is LOOK AROUND. And when I say 'look around' I don't mean by going travel agencies. You are paying for something you could easily do yourself at home with a cup of tea! No pressure, no time limit, no silly questions - just you and your decisions. I have always booked my holiday online and never been let down or disappointed. I know it might sound a bit scary and you wondering if you can trust the website you are booking on. But there is always reviews or customer service advisers waiting for your call or text (online chats) and they are always there to help. And these websites are super easy to use. Choose an airport, traveling destination and dates. How easy is that? If you are not sure about the hotel or location - use Tripadvisor. It's brilliant website for travelers, reading people's reviews about hotels, restaurants, tourists attractions and even weather could be very helpful! Another thing I would do if I am about to book my holiday, I will google the location. Street view and map becomes my best friends for few hours. It's good to know if there is market or convenient store next to hotel or what distances between beach and hotel or any attractions. I really hope you found it helpful and you'll take few advises on board. Please let me know if you discovered any other holiday websites, I would love to check it. Also, share you favorite destinations, I need some inspiration here! P.S All pictures is taken by me. If you anybody like me, and don't take fancy hotels too seriously. I would suggest checking www.airbnb.co.uk . We found gorgeous flat to rent just next to the most visited place in Barcelona. Hi! I just wanted to tell you that I really like your blog so I’ve nominate you for the One Lovely Blog Award. YAY!